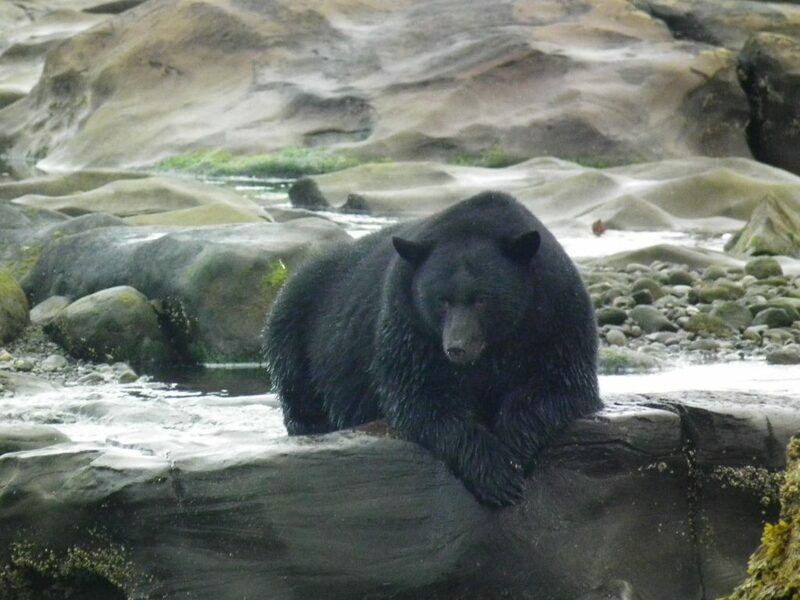 Port Hardy is located in a pristine wilderness environment that is home to many wild animals. 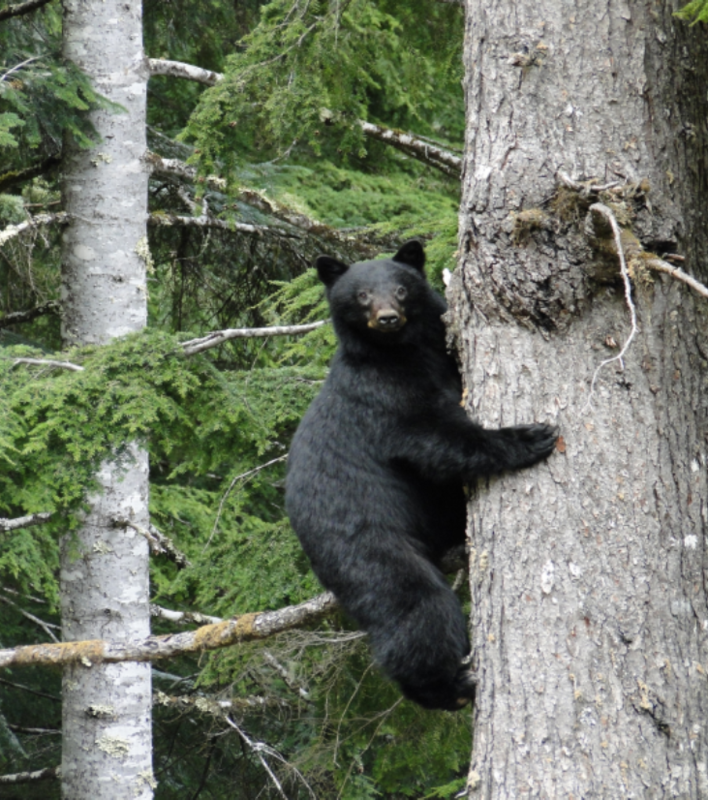 It is not uncommon to see bears, deer, cougars, eagles or other wildlife feeding along the trails or in the parks. It is also important to maintain control of your pet. Leash laws are also in affect for all dogs and owners are expected to clean up after their pets. Back up slowly– Never turn your back on a bear or run. Running could trigger an attack. Do not stare– The bear will see a direct stare as a challenge. Give it space—Make sure it has a way to get away, and that you are not blocking access to a bear’s cubs or its food. Never approach a cougar- Although cougars will normally avoid a confrontation, all cougars are unpredictable. 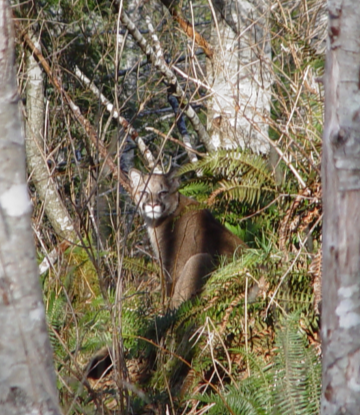 Cougars feeding on a kill may be dangerous. Always give a cougar an avenue of escape. Stay calm- Talk to the cougar in a confident voice. Pick all children up off the ground immediately. Children frighten easily and their rapid movements may provoke an attack. Do not run- Try to back away from the cougar slowly. Sudden movement or flight may trigger an instinctive attack. Do not turn your back on the cougar- Face the cougar and remain upright. Do all you can to enlarge your image- Don’t crouch down or try to hide. Pick up sticks or branches and wave them about. Do not bury garbage- If you pack it in – pack it out! Always keep children nearby and in sight. Keep pets leashed and under control- If possible, keep pets at home. 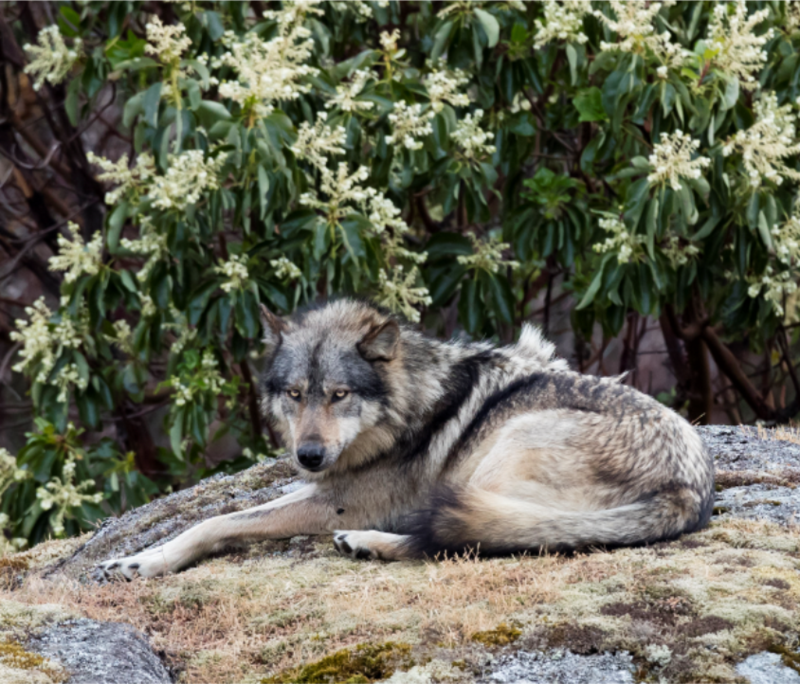 Do not approach wolves ever- This practice gets wolves use to humans and their scents which results in human habituation. If in nature, you are a guest in this environment. This is home to the animals that live here. Learn More About Our Harbour!